Ischemic acute renal failure in the rat kidney. Light A, B, transmission electron, C, D, and immunofluorescence E, F, microscopy of control renal cortical sections, A, C, E, and after moderate ischemia induced by 25 minutes of renal artery occlusion, B, D, F. Note the extensive loss of apical membrane structure, B, D, in proximal (PT) but not distal tubule cells. This has been shown to correlate with extensive alterations in F-actin as shown by FITC-phalloidin labeling, E, F. G, Drawing of a proximal tubule cell under physiologic conditions. Note the orderly arrangement of the actin cytoskeleton and its extensive interaction with the surface membrane at the zonula occludens (ZO, tight junction) zonula adherens (ZA, occludens junction), interactions with ankyrin to mediate Na+, K+-ATPase  stabilization and cell adhesion molecule attachment [5,8]. The actin cyto-skeleton also mediates attachment to the extracellular matrix (ECM) via integrins [12,15]. Microtubules (MT) are involved in the polarized delivery of endocytic and exocytic vesicles to the surface membrane. Finally, F-actin filaments bundle together via actin-bundling proteins  to mediate amplification of the apical surface membrane via microvilli (MV). The actin bundle attaches to the surface membrane by the actin-binding proteins myosin I and ezrin [19,20]. Fate of an injured proximal tubule cell. The fate of a proximal tubule cell after an ischemic episode depends on the extent and duration of the ischemia. Cell death can occur immediately via necrosis or in a more programmed fashion (apoptosis) hours to days after the injury. Fortunately, most cells recover either in a direct fashion or via an intermediate undifferentiated cellular pathway. 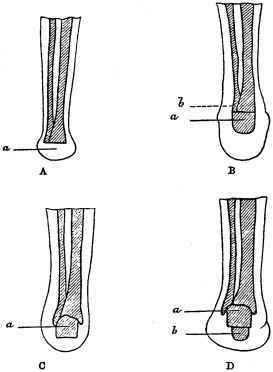 Again, the severity of the injury determines the route taken by a particular cell. Adjacent cells are often injured to varying degrees, especially during mild to moderate ischemia. It is believed that the rate of organ functional recovery relates directly to the severity of cell injury during the initiation phase. ECM—extracellular membrane; Na+—sodium ion; K+—potassium ion; P1—phosphate.